If you’re looking for a mid-range laptop that performs most tasks well, you’re on the right page. 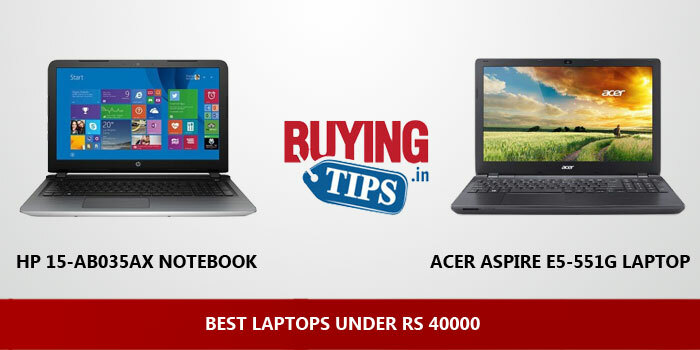 We give you our list of the best laptops available in India for a price of less than Rs 40000. 1. All laptops that we have listed will be able to run the latest version of Windows. 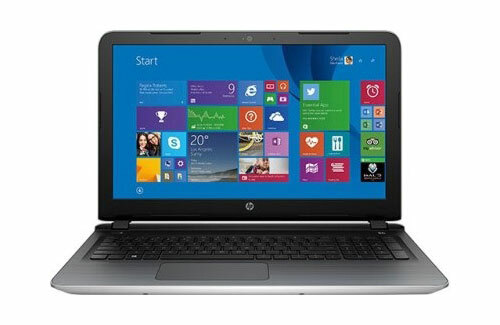 On this page, most of the laptops that we have listed come pre-installed with Windows. For laptops that doesn’t (read pros and cons under each laptop), you will need to purchase a licensed version of Windows separately. We highly discourage piracy, so if you buy a laptop with DOS or Linus and want to upgrade to Windows, purchase a original licensed copy. 2. Most laptops in this price range come with a minimum of 4GB RAM. But for better performance, we highly recommend that you upgrade to 8GB RAM. 3. Almost all laptops below 40k will allow you to browse the internet, run office applications, do photo editing, basic video editing, play low-end to mid-range games and also support video / music playback. 4. One important point to be noted. If your laptop comes with Windows 8, it can be upgraded to Windows 10 for free! You don’t have to purchase Windows 10 again. 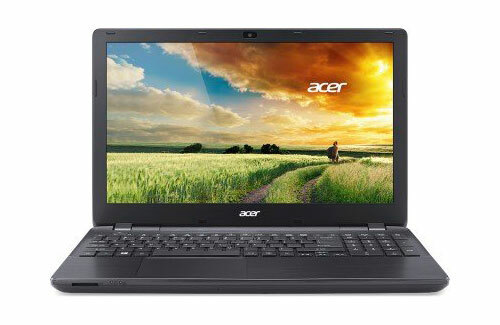 We recommend the laptops that we have listed below for Students and Office work. Light gaming can also be done. Popular applications that should run smoothly on all the laptops are Microsoft Office (includes Word, Excel, Powerpoint), Google Chrome, Mozilla Firefox, Adobe Photoshop, Corel Draw etc. 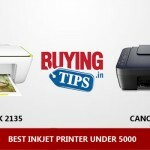 Also note that we have included links to trustworthy shopping sites like Flipkart, Amazon and Snapdeal. The link to purchase is right below the image of each laptop. All products are original, come with manufacturer warranty and provide cash on delivery facility. Excellent specifications: The HP 15-ab035AX is powered packed. 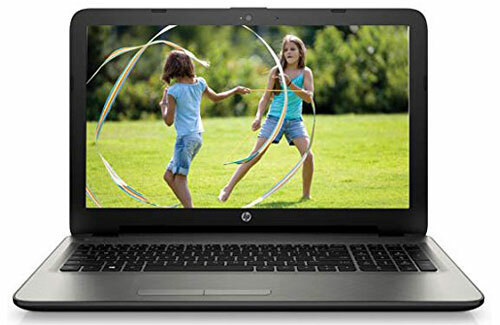 Most laptops in this price range don’t come with 8GB RAM, Full HD display and all the other specs that the HP 15-ab035AX has. Display: 15.6 inch display, viewing angles and brightness is decent. Full HD resolution (1920 x 1080) is great for document viewing, office work etc. If you want to play games, remember to reduce the resolution of the display. 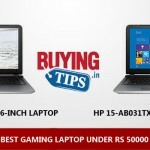 Super gaming performance for the price: Currently, this laptop comes with the best dedicated graphics card under Rs 40000. The Radeon R7 Series M360 with 2GB memory is an excellent performer, you can even play high-end games on medium settings. The laptop does heat up a little when playing games for a long period of time. Not an issue if you use your laptop for other tasks like college or office work. Battery life is average, about 3 – 3.5 hours. Laptop bag is not provided along with the laptop. You need to purchase it separately. Build Quality and Design : The build is made up of plastic, however it looks very stylish and feels good while holding. Display: Bright 15.6 inch display (1366 x 768 resolution) with good viewing angles. Processor: The APU A10 7300 Quad core is fast and performs really well. It’s as good as the Intel i5 processor. RAM: The laptop comes with 8GB RAM in 2 slots. You can expand it upto 16GB. Graphics: Comes with dedicated APU A10 7300 quad core graphics, which is good for gaming. Any mid-end games can be played without any lag. It can also play some high end games like GTA 4, Watch Dogs and FIFA 15 on low to medium graphic setting. Speakers: The speakers are loud enough for watching movies and listening to music. Battery Life: The laptop comes with 6 cell battery and last about 4.5 – 5 hours of usage. Keyboard: Feels comfortable to use, buttons are well placed. Connectivity : 3 USB slots – One is USB 2.0 and two are USB 3.0. Supports HDMI and Bluetooth too. Display: Not a Full HD display (1920 x 1080p), which is not a deal-breaker for most people. Operating system: Comes with Linux, so you will have to install Windows 8.1. Average Touchpad, don’t forget to buy a mouse. Laptop bag is not provided along with the laptop. Build Quality: The laptop looks very stylish and feels good even though it has been made of plastic. Display: The resolution of 1366 x 768 resolution which is good and vibrant, however it is not full HD. Processor: Intel Core i3 (5th Gen) gives a lag free performance while performing most basic tasks. Storage: 1TB HDD for storing files, movies and pictures. Operating system: Windows 10 comes pre-installed, so you save money on the operating system. Battery Life: The 4 Cell battery lasts for nearly 4 hours which is quiet decent. The laptop doesn’t heat up either. Speakers: The dual speakers produces good sound. It gives a pleasant feeling while watching movies or music. Connectivity: 3 USB slots (1 x USB 2.0 and 2 x USB 3.0). Supports HDMI and Bluetooth. Keyboard comes with a Criss Cross textured pattern which gives good feedback. The buttons are placed well and come with numeric keypad. The trackpad feels comfortable to use. The laptop comes with 4GB RAM, so we highly recommend that you upgrade it to 8GB. It will significantly improve performance of the laptop. The laptop doesn’t come with dedicated graphics card, but you can still play low to mid-end games. But if you’re serious about playing the latest games, you shouldn’t buy this laptop. Doesn’t come with Laptop bag. Great List Bro. It was really helpful ! !